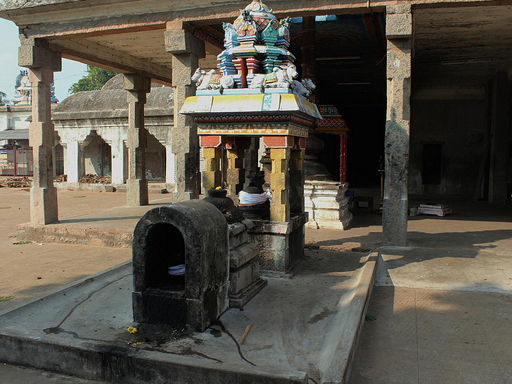 The Agniswarar Temple is a Hindu temple in the village of Kanjanur, 18 kilometres north-east of Kumbakonam. 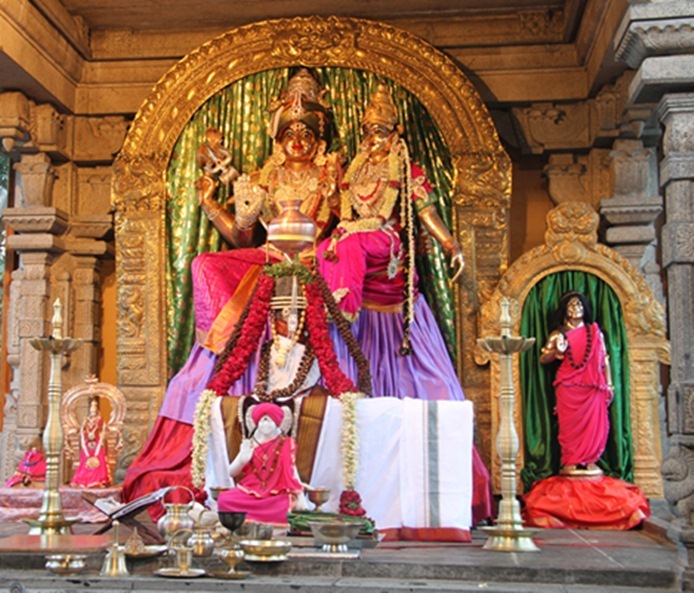 The presiding deity is Sukra. 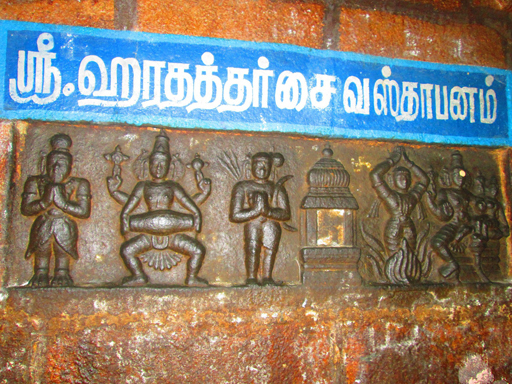 However, the main idol in the temple is that of “Agniswarar” or Shiva. 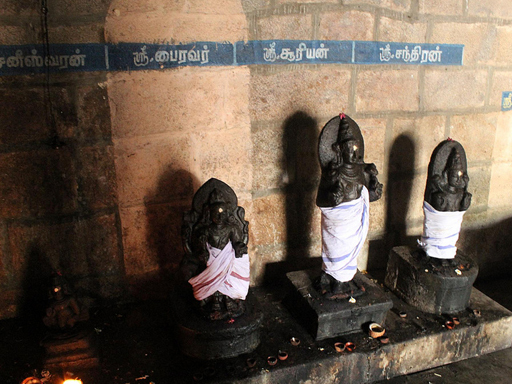 Lord Shiva Himself is worshipped as Sukran and therefore the absence of a separate shrine for the Navagraha, Sukra. 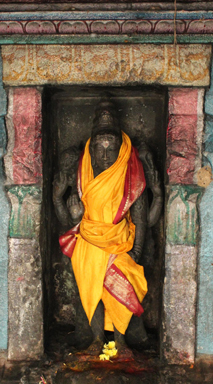 Unlike other Navagraha temples, the main deity, Agneeswarar in the form of lingam depicts Lord Sukra. 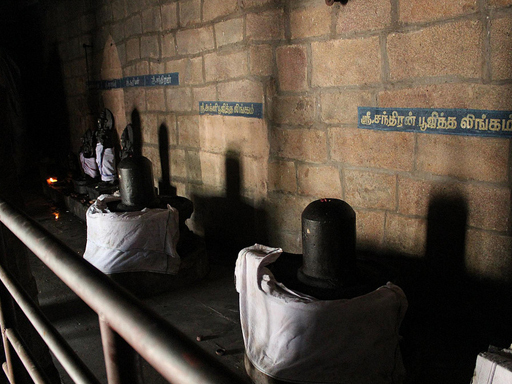 A special feature of the Linga of Agneeeswarar is that it absorbs all the oil poured on it during the process of Abishekam. 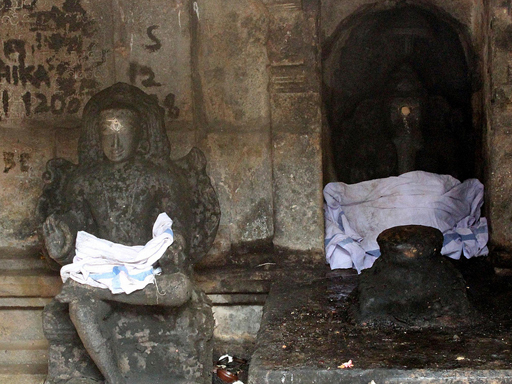 The temple was built by the Medieval Cholas and renovated by the kings of the Vijayanagar Empire. 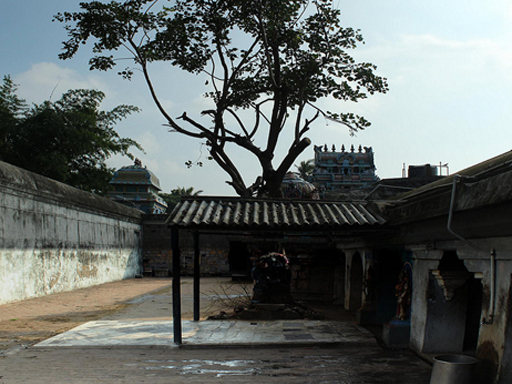 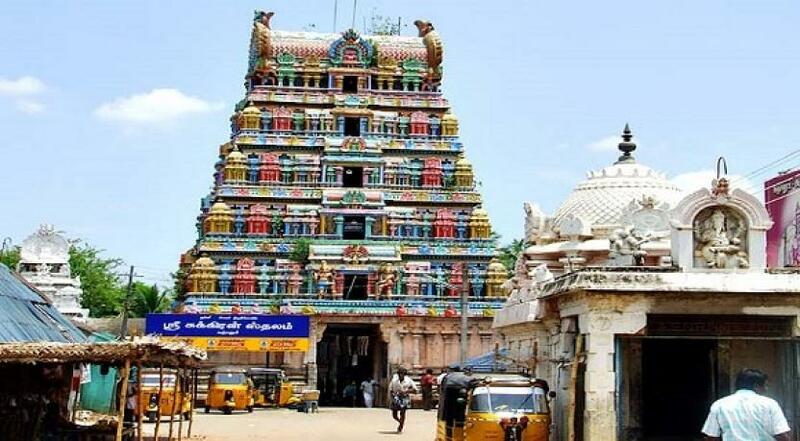 The temple has a 5-tier rajagopuram surrounded by two prakarams(closed precincts of a temple). 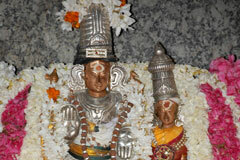 The temple is revered by the verses of Appar and hence referred as Padal petra stalam. 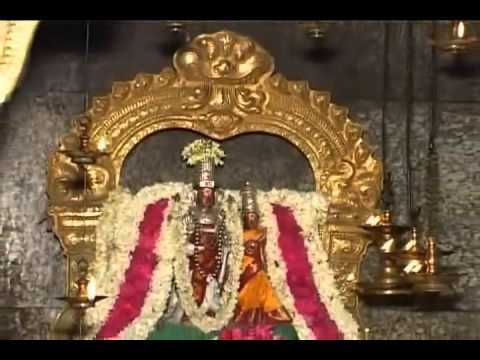 Legend is that Siva blessed Parasara muni(sage) here with cosmic dance. 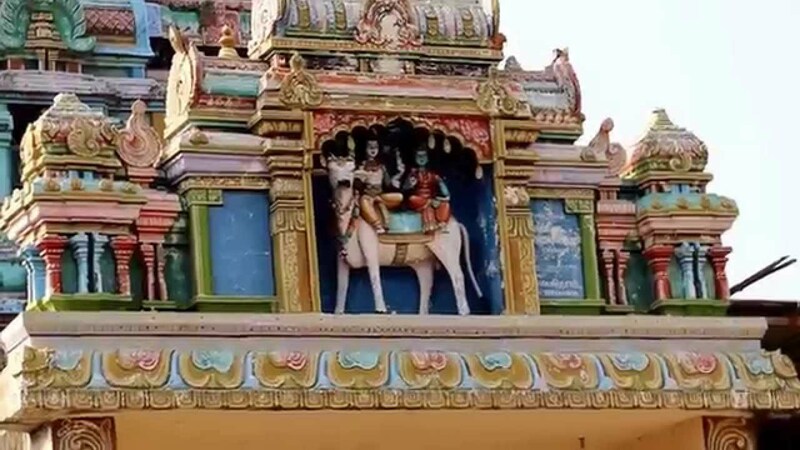 It is believed that Shiva appeared in the form of Sukra to propitiate himself off the dosha of Sukran. 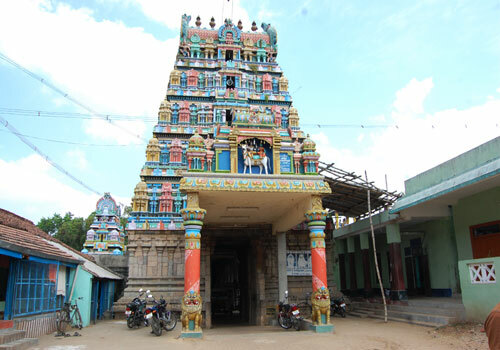 Kanjanur is one of the nine Navagraha sthalas located in the Cauvery Delta region dedicated to planet Venus, called Sukra. 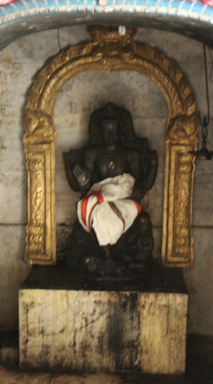 Unlike other Navagraha temples, the main deity, Agniswarar in the form of lingam depicts Lord Sukra.